Email campaign created for Metabolic Research Center’s E-Commerce website. 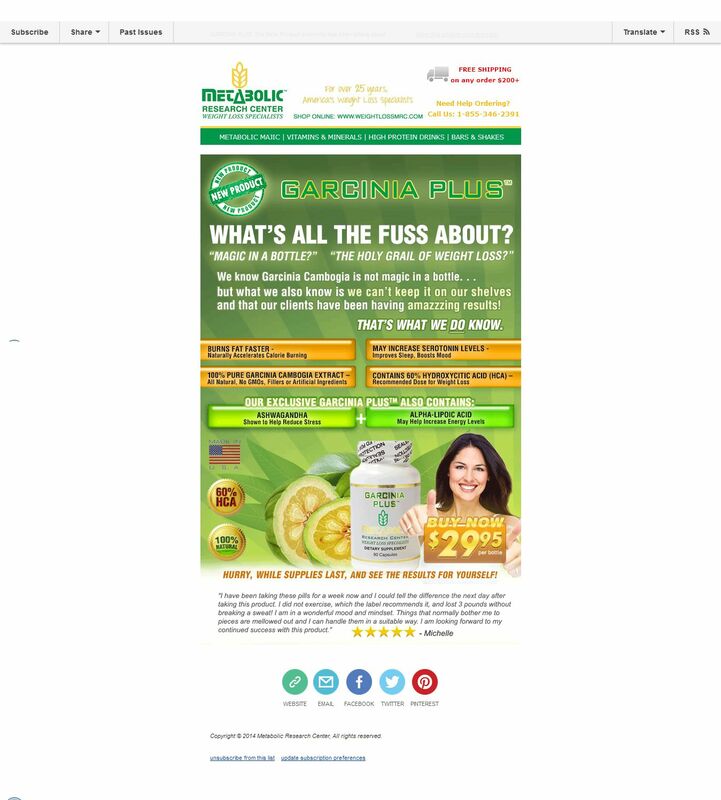 Campaign Theme: New Product – Garcia Plus. Sent to mailing list using MailChimp.